Rollkon Kft. – Ipari automatizálás, célgépek – az Ön igényeire szabva! 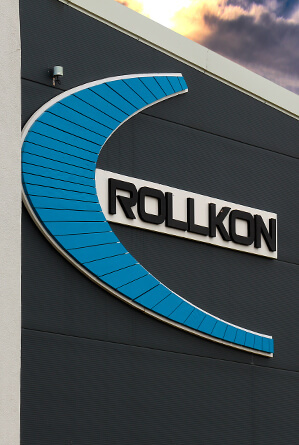 Rollkon Kft., seated in Polgárdi, has been on the market of special purpose machine manufacturing since 2003. The company has widened its services intentionally so that it would be able to offer complex solution packages to its partners; from the manufacturing of simple structures to the design, programming, implementation and maintenance of complex automation tasks. Rollkon Kft. has more than 40 employees to fulfill the design and implementation tasks. The manufacturing takes place in 2 halls, on 1700 m2 in sum. The company has its own welding, working, assembling and sheet metal working specialities, so it is able to respond quickly to customer needs. To broaden its product portfolio, the company created a line of serially manufactured products 3 years ago. 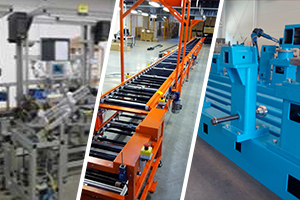 Among its product families, the manufacturing of storage machines (paternosters, stacking machines) is significant as well as their continuous development. 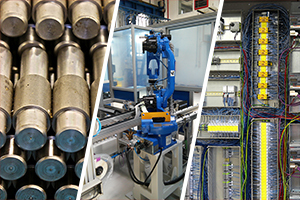 We design and implement self-designed special purpose machines, robot cells and production lines, based on unique needs. Rollkon Kft. designs and implements self-designed special purpose machines, robot cells and production lines, based on unique needs. 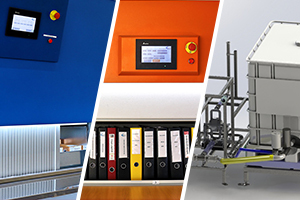 - Vending machines for personal protective equipment - meet our products!